Avocado oil is usually categorized as a vegetable oil, despite the fact that, it is actually a fruit. Avocado trees were originally grown in Central America. In the 21st century, this fruit was considered to be the “fruit of kings” and thus, meant to be consumed only by the royals. Avocado offers tremendous nutritional advantages, has healing and regenerating properties and therefore, it is regarded as one of the best fruits gifted to us by Mother Nature. 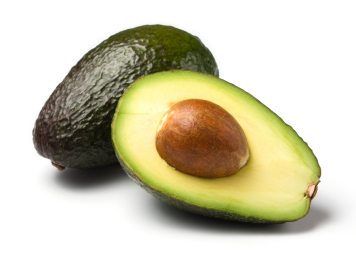 Avocado oil is rich in protein, Vitamin A, B1, B2, D, and E, which are essentially required for proper hair growth. It also contains amino acids, lecithin, and other essential fatty acids. The oil also acts as a humectant which means that it adds moisture to the hair. It restores health and shine to mistreated and dry hair because it has such a high vitamins and essential fatty acid content. It also helps to soothe dry, flaky scalp and acts as a natural bactericidal. What more can you ask for?! Pure unrefined Avocado oil is deep olive green in color as it still contains chlorophyll and has a very sweet and a bit nutty aroma, which is thick and heavy in texture and lends a waxy fatty feel to the hair. You can benefit from this amazing fruit by mashing up a ripe avocado and applying it to the hair as a deep conditioner or by simply adding the oil to your favorite intense conditioner.